A 8-1 header sounds pretty close to flat plane v8 but like mentioned above packaging is a nightmare. I'm still planning hopefully later next year to make my design of over the engine 180 degree headers using tri-y collectors & going 8 -4-2-1. Have decent room under a g-body cowl hood, & will take multiple steps to combat heat. Already have fender vents, will have huge hood louvers, heat shielding under hood ,Possibly heat shield over intake & valve covers, etc, twin fans running full time. Trying to 180 cross pipes underneath for my application would be a huge mess , super hard to get equal length, & loose ground clearance.. If I didn't have normal AC location, I could cut firewall & trans tunnel for room. Hope the sound will be worth it. Here's an easier way- From the right (passenger) bank, run the end cylinders back, and the center cylinders under the engine to the left (driver) side. Do the same for the driver side. Siamese the end cylinder pipes and the center cylinder pipes on both sides. Then join the RH-origin center pipes with the LH-origin end pipes, and do the same on the RH side. Then join the resulting single pipes from each side into one. You have just made an 8-4-2-1 360degree single exhaust. Seems like it would be hard to get equal lengths that way, if everything is going to be routed under the floor pan to the rear of the car. Wouldn't those crossovers add a couple feet to the lengths of the center cylinder primaries, as compared to the end cylinder primaries? IIRC and that's a long shot ,, there were only 4 tubes to cross over, and you ran 2 behind and 2 under.. the two under crossed between the engine and trans, The old cars used to have the firewall pushed back about 6" since they were a tub&tube car that was heavily modified. Over the top exhaust is such a M***** F***** to work on in most American sedans I wouldn't even do it.. The heat and access issues make it just not worth the blood.. It will be impossible to do equal-length 8-4-2-1 headers in a front-engine car. Even over the top of the engine. And for what? Just the SOUND?? So much work for very little real outcome. There's a drift car that merged the collectors essentially into a Y-pipe making a very cost effective and tightly packaged 8-2-1 header. It sounded like an 8-1 setup. Last edited by 00pooterSS; 12-27-2018 at 11:07 AM. He's actually selling it in the classifieds right now. Notice how the primaries that run from the collector to the furthest exhaust port are almost a straight line, whereas the primary that runs from the collector to the nearest port takes a twisty path, wrapping around the other primaries... 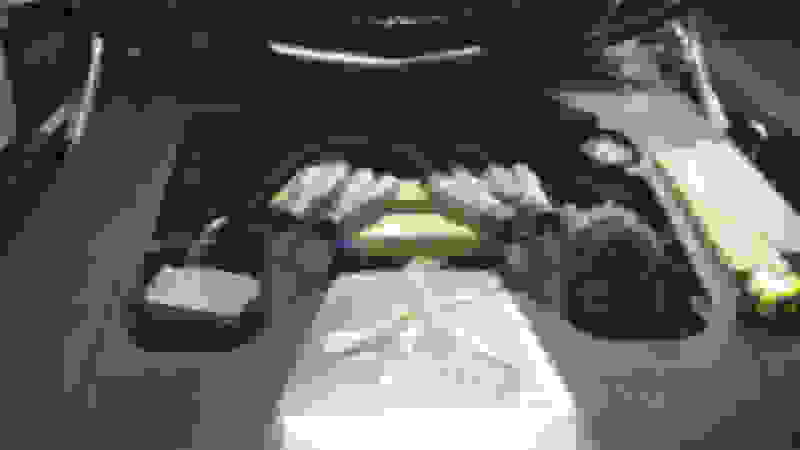 The key thing isn't flat-plane crank, or 8-1 merge, or 180 pairing - the key thing is having the same length from each exhaust port to the outside world, so you get equally spaced exhaust pulses at any RPM. That is interesting that some have gotten the sound I'm wanting with just true equal length headers & a 2 into 1 merge. There just seems to be a shortage of good knowledge on this subject. My application just does not have room under the engine for 180 pipes under it, even if I ovaled the pipes, plus equal length would be hard to do & primary length would be pretty long. Getting equal length over the engine doing a correct 180 degree merging sequence seems easier to me than it was with my tri-y's pictured..I would need to make bolt together flanges for an over the engine setup to R&R reasonably easy, so that alone would be a little more work. I feel that I could combat the heat issues with MORE extra work, but no way to know for sure other than to try. SO, if it is possible to get the sound with my tri-y's & a merge, then no doubt that would be the easiest route to complete them & have em ceramic coated after a sound test. Plus I could one day complete & use my cross ram dual plenum intake . The CGS c-5 that I thought was 180 headers are just equal length 4 into 1's with a very custom merge & a handmade muffler AND A bad *** big bore destroked high revving engine. Part of the deal with any good 4 into 1 headers is having the correct firing order sequence going around in a circle. Can be left or right, doesn't matter. Last edited by jlcustomz; 12-27-2018 at 09:56 PM. Flat plane crank IS the important part. Cross planes have an imbalanced firing order giving an extra pulse per side and unequal timing at the merge point. That's where the rumble comes from. If all 8 header primaries go into a common merge then you don't have an imbalance the engine has continuous exhaust pulses like an 8-1 header. A Y-pipe won't give this sound unless it is at the collector like the headers above have. 180 degree headers are not equal length - in fact they're full of compromises in anything but a mid engined race car. They give a flat plane sound with unequal length primaries. Flat plane crank IS the important part. Cross planes have an imbalanced firing order giving an extra pulse per side and unequal timing at the merge point. That's where the rumble comes from. I agree that the rumble comes from unequal timing. But, if the primaries are all equal length, then why would the exhaust pulses arrive at the merge with unequal timing? The arrival time of each pulse only depends on the length of the tube between the exhaust valve and the collector. Did some more looking into this & looking at David Campo's stuff. 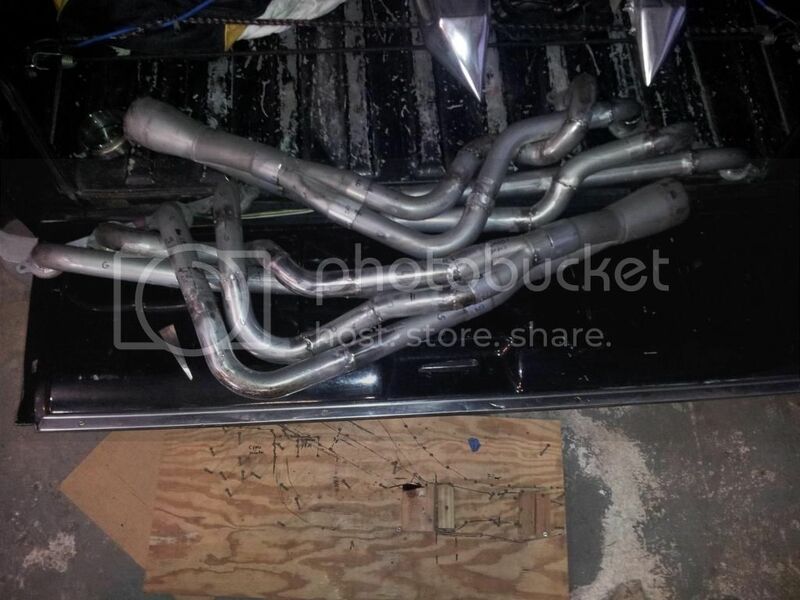 Part of what I was told to do anyways on my tri-y headers was extend the 4 secondary tubes. I guess I'll look into where I could possibly join the 2 sides together by curving the secondary portion of pipes together. As long as my headers are already, an extension could put them crossing over near the rear of my 6 speed, which would have more clearance. Wonder why David's are for sale now? Last edited by jlcustomz; 12-28-2018 at 08:42 PM.